Here's a quick update, it's been a busy month and I'm still in the middle of writing up some longer blog posts, so here's a taster of what's to come. I have finished building up MendelMax and have been printing with it all month, it's performing stunningly well, I'll do a blog post on it soon. I have discovered a new Print bed material, still testing - more details soon, but it's working so well for PLA I don't think I'll ever use anything else. 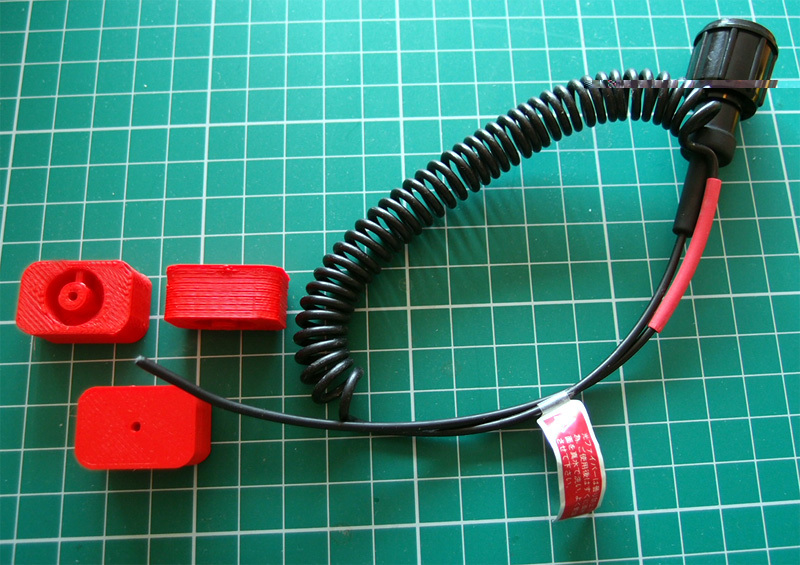 I have designed a new Extruder - and a few other machine parts - more on all that soon. Also been messing with Printrbots, they are very neat little printers. While I remember - RepRap Pro are running another Masterclass build weekend. 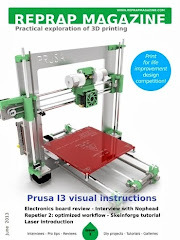 in April - These are really great fun and you have a 3D printer at the end of it! - The one last summer was one of my RepRap highlights of last year. If it's an open house like last time I will try to come along and say hello and help out. 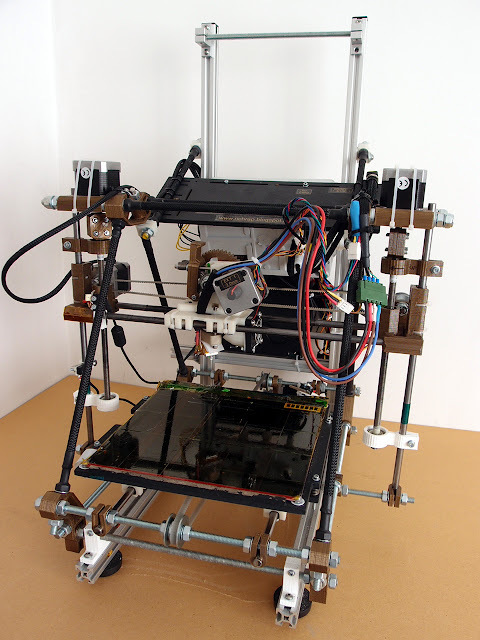 The South West / West of England RepRap group are planning another meet up in March, I would really recommend coming along, they are a lot of fun and you will always learn something new. If you can get there check out the forum messages and keep in touch - Hamish (hairykiwi) is organising this one, if you want to ask any questions or send him a message. I had a small job to do for a friend recently, and I was quite surprised how well and quickly I managed it, it just reminded me how useful 3D printers can be for all sorts of things. This accessible technology really is changing the world of design and manufacturing one printer at a time. My friend needed a small adapter for a Underwater digital camera housing to trigger a slave flash unit via an optical cable. 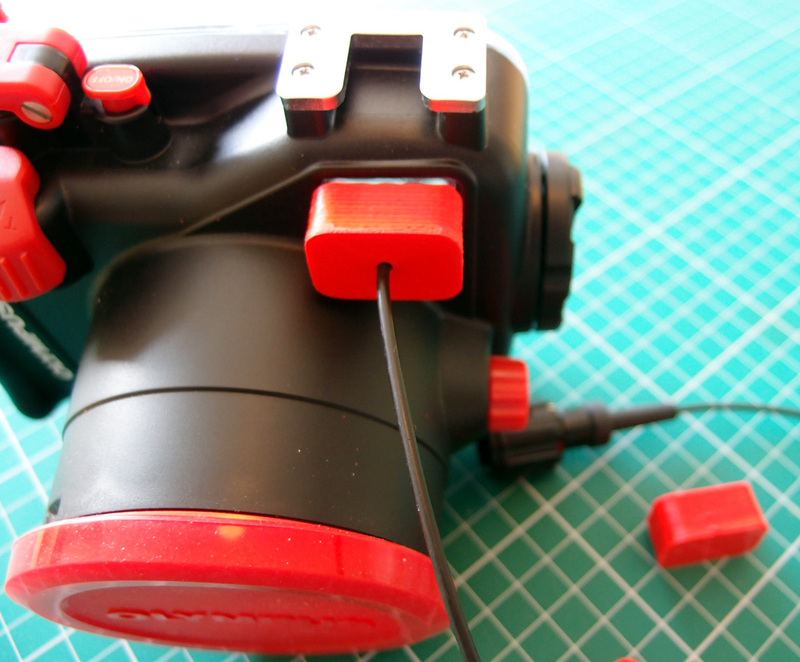 You can buy an official cable for this but it costs over £45 + VAT and delivery, he already had an older cable that fitted on the flash end, but with the connection for a previous camera housing, so we cut that off. Having a full machine shop he tried to make one, and failed as the fitting is small with a friction fit and tapers slightly with a small section to lock orientation. 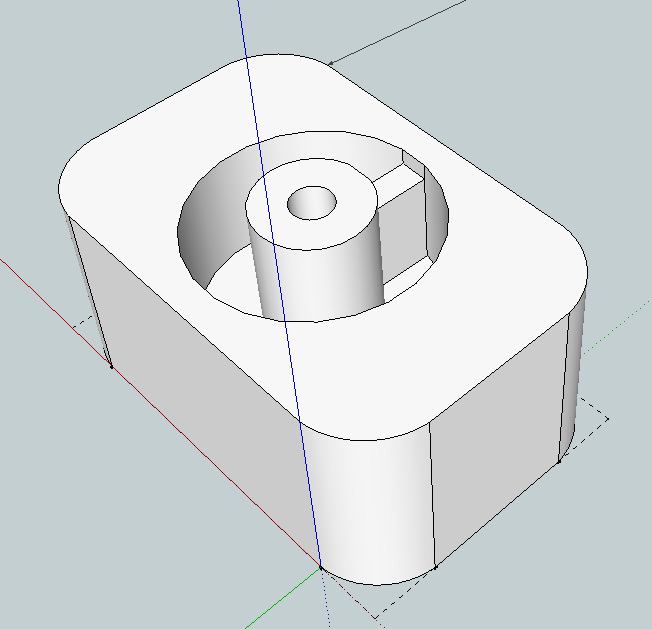 But It's perfect for 3D printing. Less than 10 minutes doing the design in Sketchup. I sliced it and printed three of them in 19 minutes on MendelMax. It fitted perfectly very first go - a nice tight push fit. 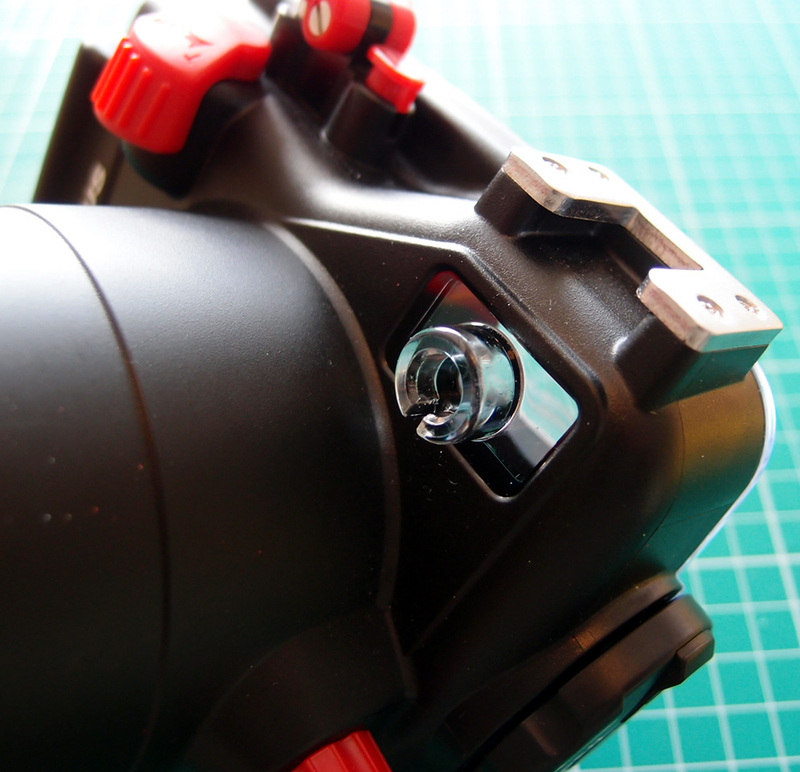 One drop of super-glue and the optic cable is fitted in the hole, and we have a removable slave flash cable. 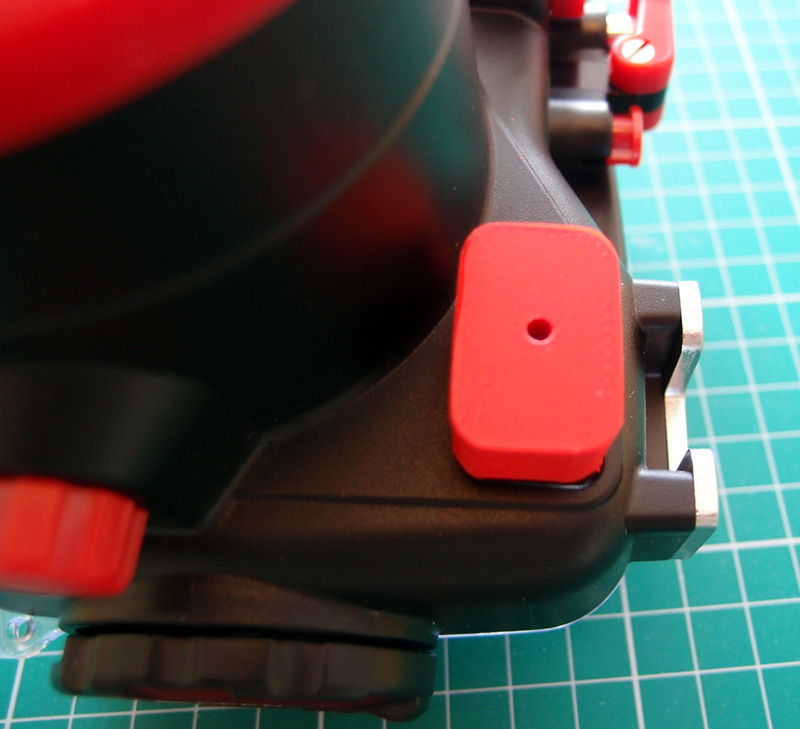 Printed in Faberdashery Fire truck Red it's almost a perfect match with the housing. And finally a small sales pitch - I'm selling my Mendel Bling machine, mainly because I need the room for different / further printer experiments and it seems such a shame to break it down into bits when someone can love and care for it. If you are interested it's up on eBay now - and I'm offering to show the winner how to set it up, install software and print some things with it when it's collected. Mendel Bling up for sale on eBay - grab a bargain now.